You know I’ve never thought so much about laundry since the traveling internationally. Though very difficult to find, when booking an AirBnB, having a washer & dryer is a top filter, who knew? It’s funny to think that of all the things I miss about our house — the washer and dryer are second in line after my coffee pot! It’s a luxury we just don’t think about in the US and if you’d asked me before our trip, what will you miss most, I would have never thought our washer and dryer would even be a consideration. I was thinking back today about all the houses we’ve stayed in over the past 8 months and it’s been an interesting ride. 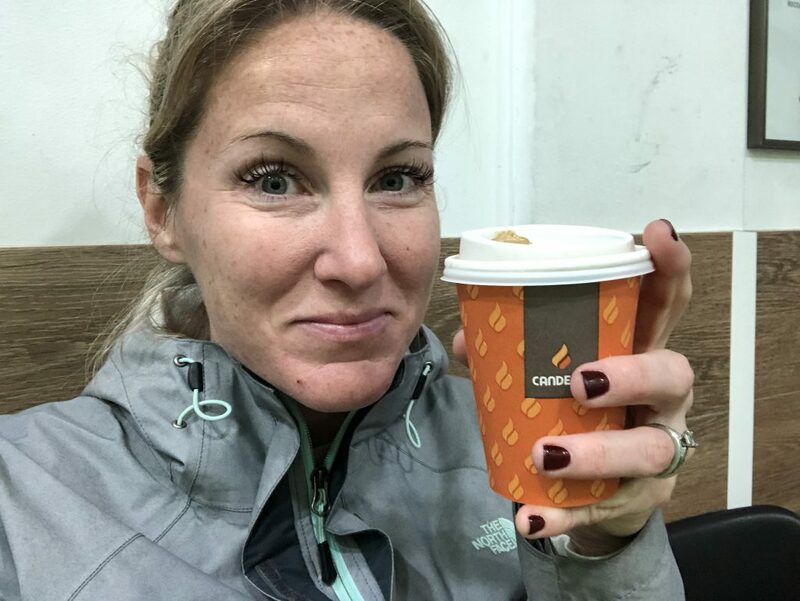 I thought I’d do a little recap … and at some point update it at the end of the trip — to have a complete recap our on international laundry adventures! 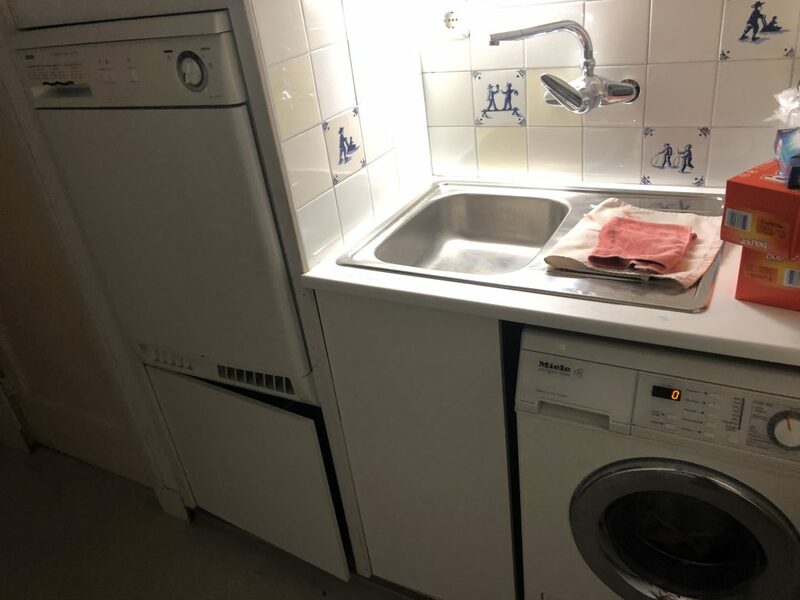 Sadly, I don’t have a picture of the all-in-one washer/dryer we had in London. Looking back, I didn’t realize how much laundry would come to mean to me over the coming months. 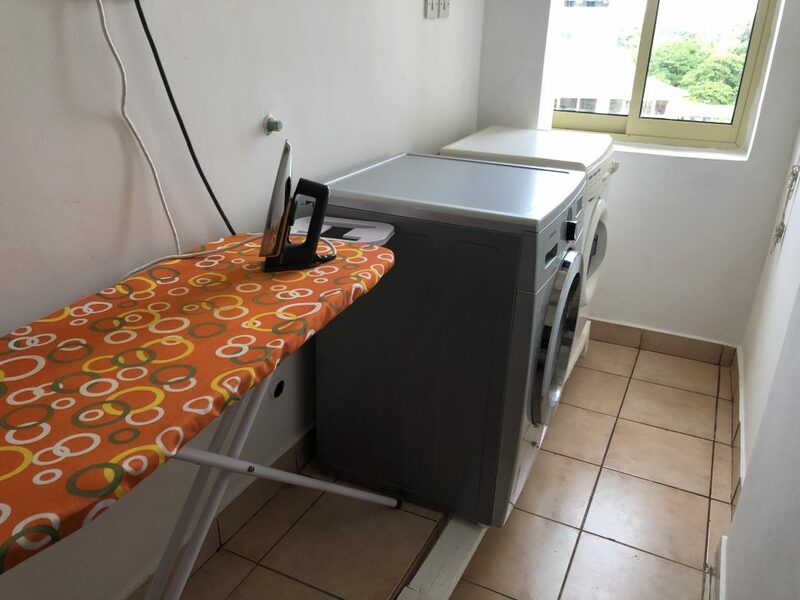 I do remember it was a nice all-in-one and the dry cycle did actually work well. We did laundry every couple of days, which was super nice. I also have a very vivid memory of how hot the clothes where when I took them out of the machine and how loud the machine was. When we first used it, I remember thinking it sounded like a jet engine! This setup in Amsterdam was very western. We had a nice washer and dryer in the basement of the house (three levels down from the bedrooms) and the stairs were super narrow. This was my first experience with a dryer with a water tank. I remember being so frustrated that the dyer kept shutting off and there was this annoying red light blinking, but I had no idea why. I also remember this was my first experience researching instruction manuals. Kiyv was lovely. The house didn’t have a washer or dryer — the owner just said, let me know when you’d like the laundry picked up! So nice! 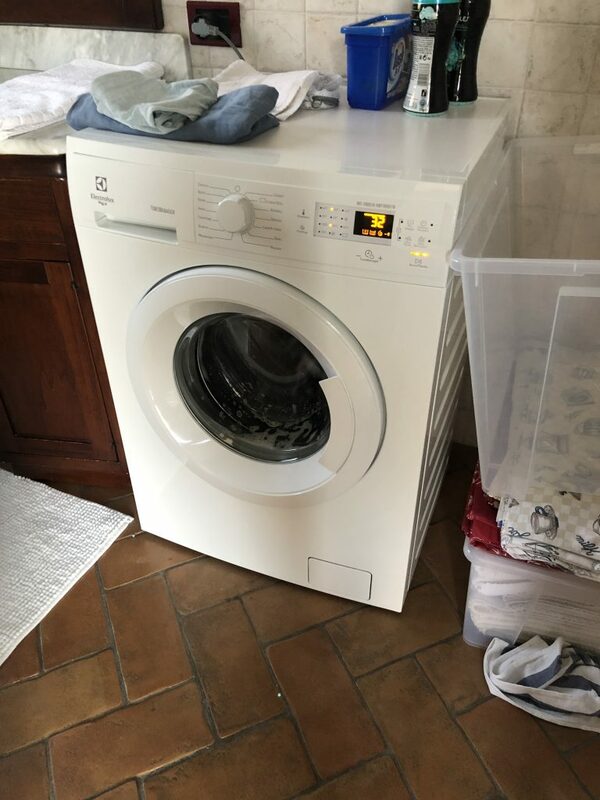 Kiyv was my first experience with a laundry services, we used CleanOK. We send laundry out once a week and it was returned the next day. I also remember being slightly mortified with how cheap it was — about $10 to $15 per week! I also remember the delivery man refused to take a tip, though I offered every time. He was a sweat older man though he did smoke like a chimney! I remember one time he got stuck in traffic while delivery our laundry and our clothes smelled like smoke — YUCK! Italy, oh Italy! My least favorite for sure! 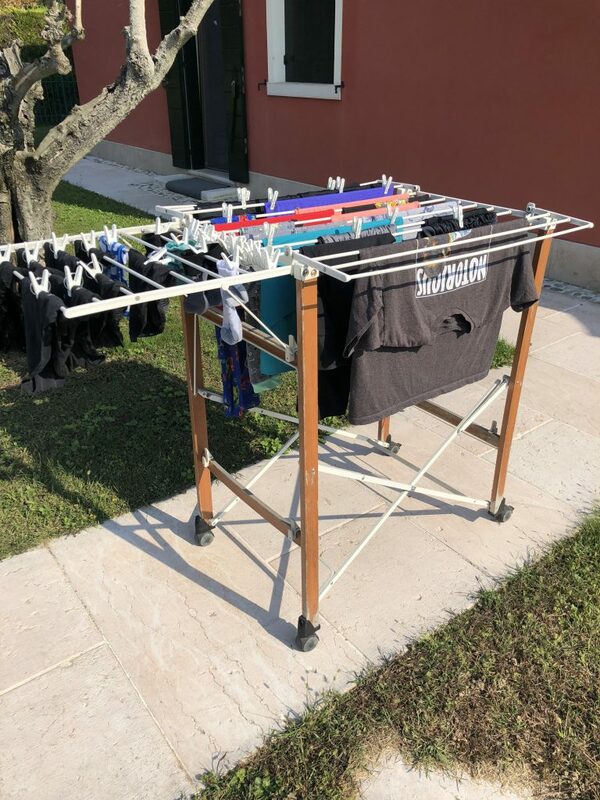 In Mirano, I try to fully embrace air drying clothes. 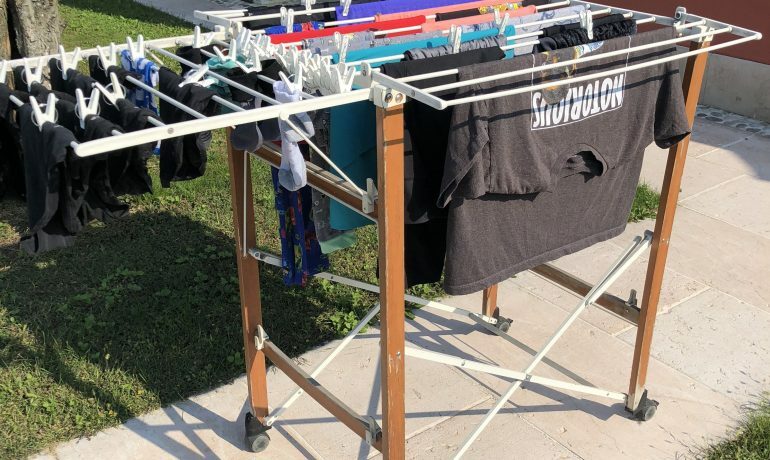 The house had a really nice washer and two drying racks. Air drying clothes is miserable. It takes FOR-ever, the clothes turn out crunchy, and there were stink bugs everywhere! I made it the full month, but remember the very last week I researched and found a laundry mate. I took all our clothes for one final wash to make sure we had nice, clean, fluffy clothes heading to Spain. Sitges … this was a fun one too. 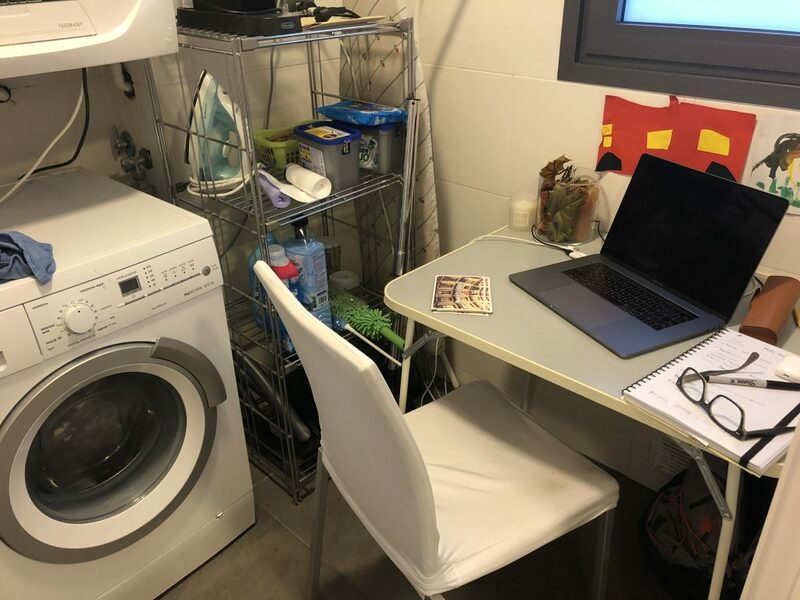 The Sitges house had a washer, but no dryer like Mirano — and it wasn’t as warm in Sitges so I remember thinking air drying was going to be even worse. I just couldn’t bring myself to deal with it. 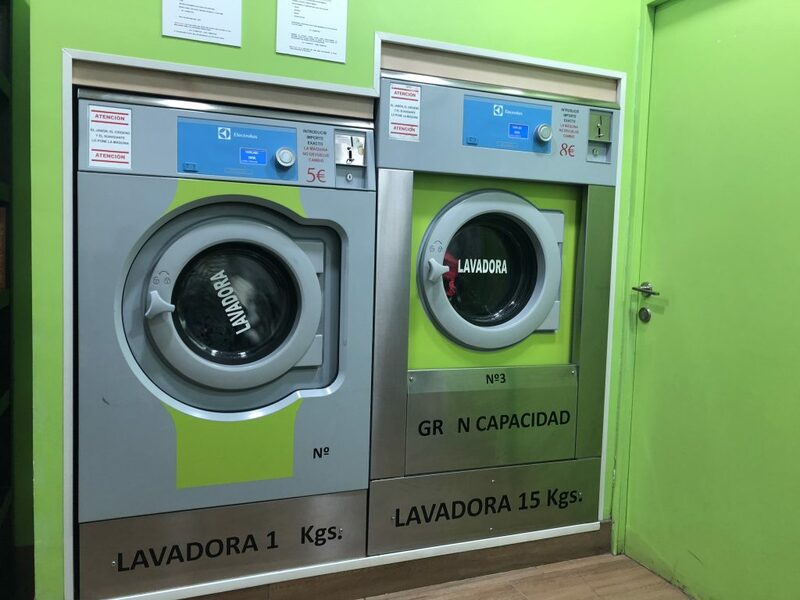 Being in Sitges we had a ton more options and it was much easier to get into town, so I fully embraced the laundry mat in Sitges. I went once a week and it was actually really nice. It was required quiet time. I would take my book to read or I would go for a run while the clothes were washing. Tanzania was a dream! I would have never thought that Tanzania would be one of the best laundry setups! 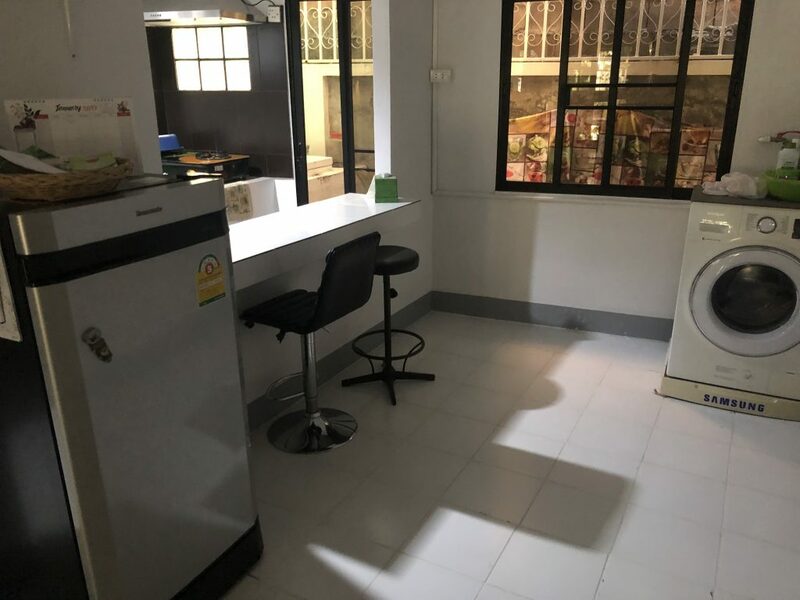 The apartment was single level and the laundry area was right off of the kitchen. We had a full-size washer and dryer and I used them often! I took full advantage of having access to a washer and dryer. 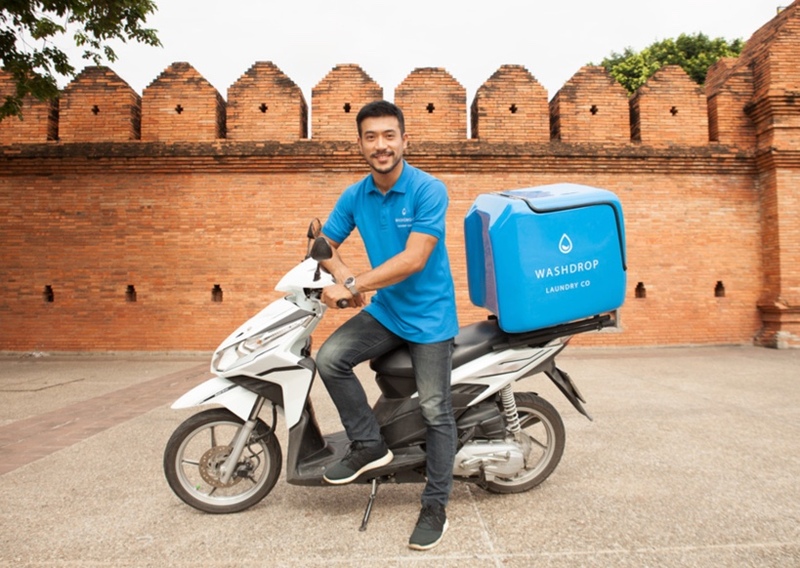 In Chiang Mai, we were back to having only a washer, no dryer and as much as I thought I was ready to commit to crunch clothes, I did a bit of research on laundry service options, we went with WashDrop. Chiang Mai ended up being like Kiyv — services were super inexpensive — about $15 – $20 per week. After talking to Jim we just decided it was worth having clean, fresh clothes. I ended up using a service every week — free pick on Tuesday mornings and drop off was Wednesday mornings. 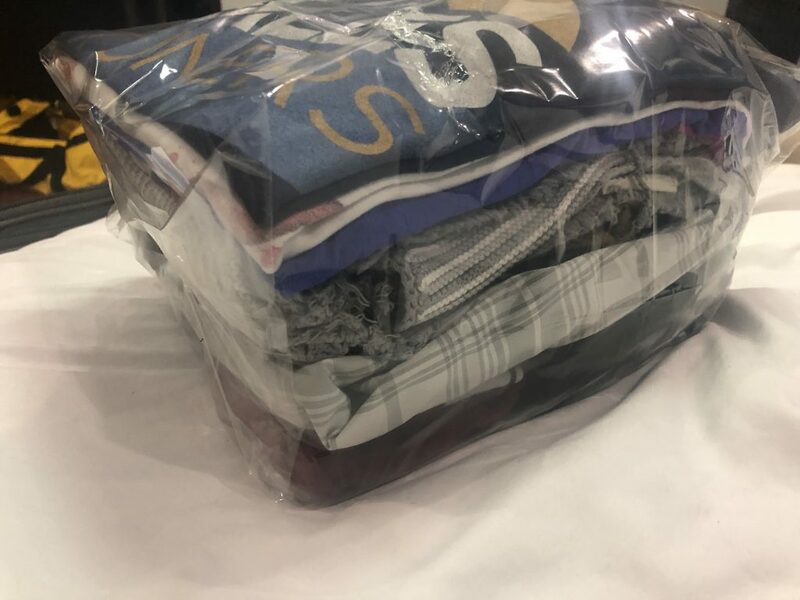 The first time we got our laundry back our clothes were all super wrinkly and I remember thinking — ugh, this might not be worth it if I have to iron everything. 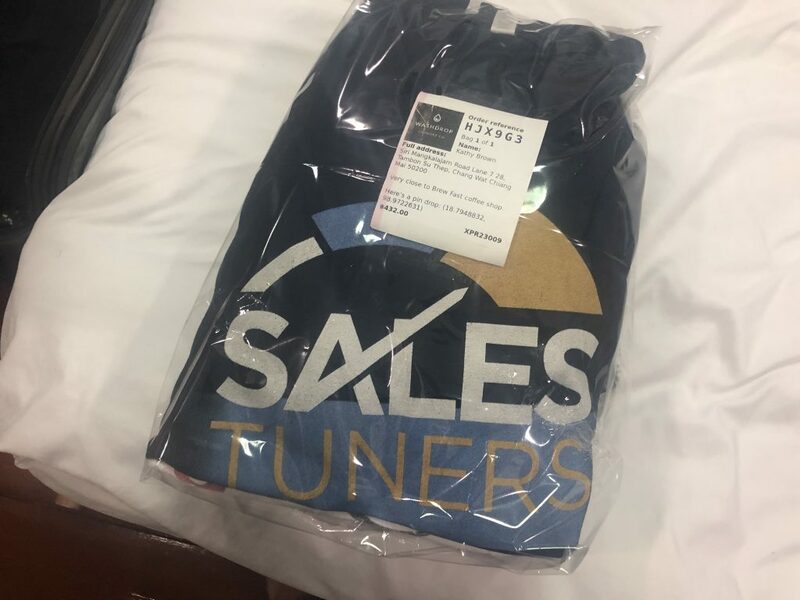 I reach out to the service to ask and they quickly responded, we can iron everything. So we tried it — and it was incredible. I mean perfectly pressed t-shirts, shorts, and undies — we were spoiled rotten. Jim’s parting words on Chiang Mai, “So can you start pressing all my t-shirts like this when we get back to the US.” He’s funny. ^Obviously a staged picture, but you get the idea. –> more to come … Hong Kong, Tokyo, Sydney, Melbourne, Auckland, and Santiago!